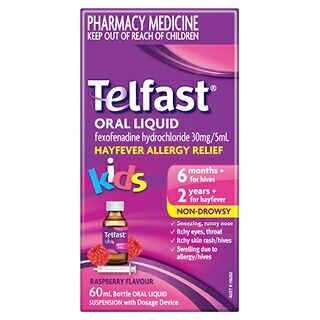 Telfast Oral Liquid Kids provides non drowsy hay fever relief. Telfast Oral Liquid Kids provides fast, non-drowsy relief of the symptoms of hayfever and perennial allergies. The twice-daily dosing allows flexibility of dosing.